BRANDON — A blaze that Premier Brian Pallister called "massive" has burned through several buildings in downtown Brandon, Man., including one with dozens of apartments managed by community groups. "It’s just devastating. We’re thinking of all the families that live in that building," said Debbie Huntinghawk, president of the Brandon Friendship Centre, which managed one of the five floors in the 56−suite Massey Manor. 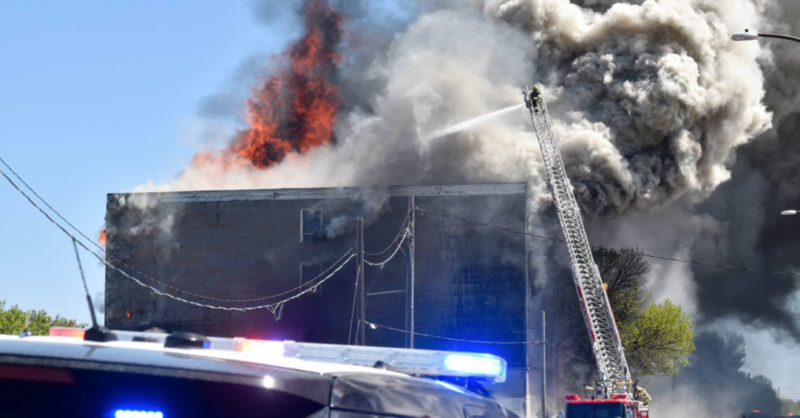 Brian Kayes, Brandon’s director of risk and emergency management, said the fire broke out in an office and school supplies store across the street from Massey Manor at around noon on Saturday, then spread to the apartment building as well as a bar and beer store. At the fire’s peak Saturday afternoon, city officials warned that embers were drifting "a significant distance" and were threatening to spark more fires. Reinforcements from outside the city, including firefighters from Canadian Forces Base Shilo, arrived to help stop the blaze, which destroyed or severely damaged multiple buildings in the city’s core. Kayes said it did not appear anyone was injured. "The people that lived in Massey Manor went outside to watch the fire and then unbeknownst to them, their building caught fire. So pretty well everyone had already evacuated from that building to watch the fire," Kayes explained. Pallister posted a message on Twitter early Saturday afternoon as the fire raged, along with a photo that appeared to show one of the buildings consumed by flames. 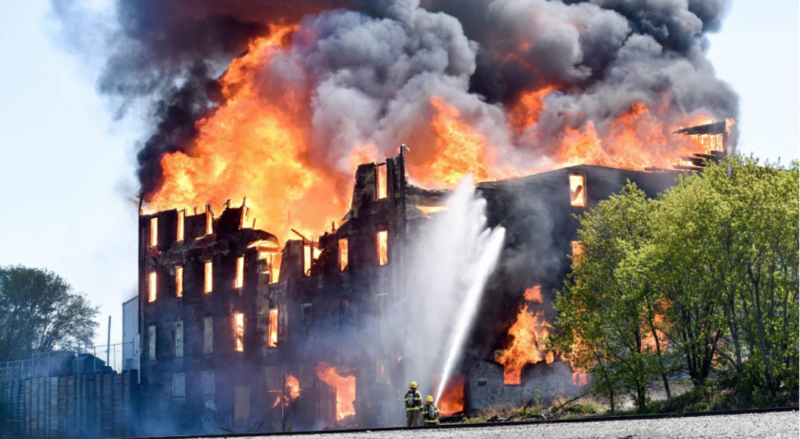 "Watching with deep concern as a massive fire devours downtown Brandon landmarks. Thanks to Brandon firefighters and police personnel for keeping Brandonites safe," the premier tweeted. Massey Manor was originally constructed as an agricultural supply store and warehouse, and was converted to apartments in the past decade through a partnership between the Canadian Mental Health Association, the Brandon Friendship Centre and Habitat for Humanity. The Brandon Friendship Centre provides services to the Indigenous community, and the residents on its floor included single mothers with young children, according to Huntinghawk. Huntinghawk said she saw the smoke from her house and began walking towards the downtown, immediately fearing for Massey Manor. She said she was relieved at first to learn that the fire was only in the building across the street, but when she reached the roadblocks that were several blocks away, embers were falling on the crowds that had gathered. Her group’s executive director texted Huntinghawk with updates, saying some embers were landing on Massey Manor and it wasn’t long before the building was on fire. According to Lorne Mosionier, a board member with the group, flames burned through the top two floors, while the lower floors have serious water damage. "You can’t live in it now and probably the whole building would be a loss, no doubt," Mosionier said. 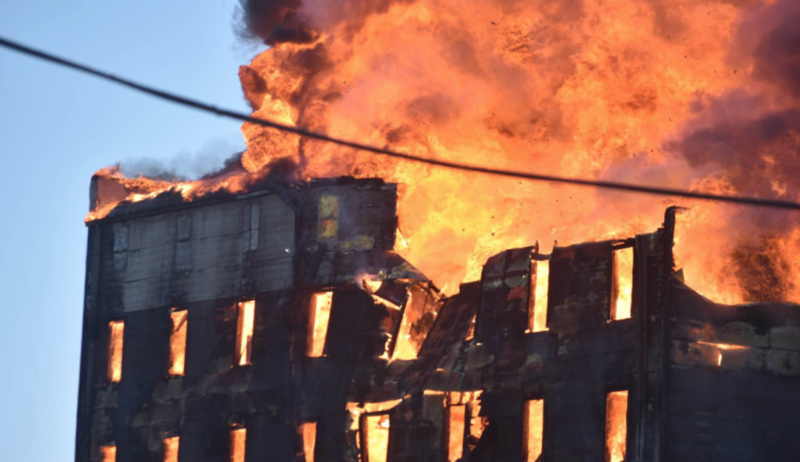 Kayes said late Saturday that the danger that the fire would continue spreading to other buildings appeared to have passed. He said firefighters were mostly mopping up, using backhoes to pull down walls to get at the flames that remained. The public was still being kept well back of the area, he said. The Canadian Red Cross said it would be accepting registrations from people displaced from their homes by the flames.